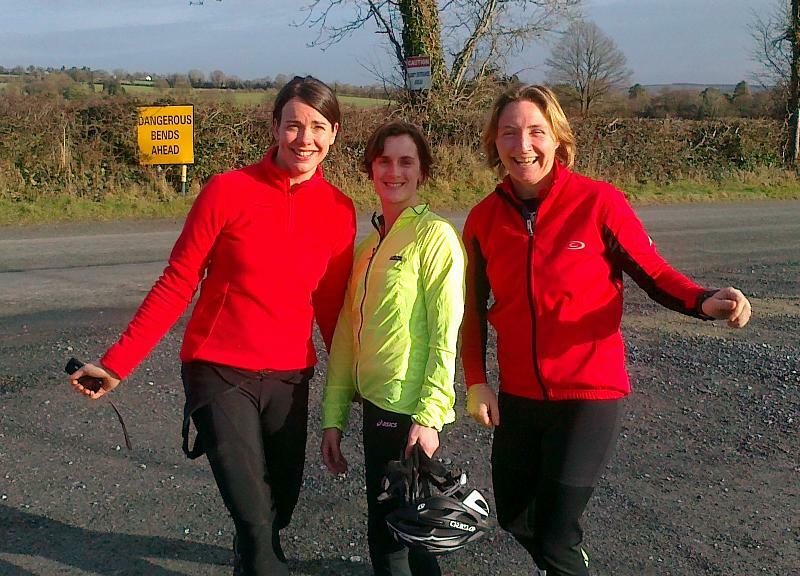 A “1-2-3” for the girls, winner Lorraine flanked by Ciara (2nd) and Joy (3rd). The sunshine made a welcome return this morning for Round 3 of the R795 Winter Time Trial league. Lorraine Byrne was the worthy winner on the day with a big improvement on her previous time. Ciara and Joy also made significant improvements, coming home second and third respectively. Martin put out the megawatts and got around in the fastest gross time. Well done to everyone who took part and thanks to Tom, Ruairi and Paul for marshalling. The club duathlon which takes place on 20th February will also double as the Winter TT league Round 4. Should make for an interesting twist in the tale.